The Balkan nations have been slow to confirm their involvement for Eurovision 2017, but today it is being reported that Croatia has confirmed for Kyiv next year. The blog Eurosong.hr is reporting that the Croatian broadcaster HRT has confirmed its involvement in Eurovision 2017. The broadcaster has not yet decided how it will select its act, but has promised a decision will be made in due time. However, from 2012 onwards, Croatia has used internal selection, a cost-effective method which would suit the budget-conscious broadcaster. Croatia’s involvement in Eurovision 2017 was earlier thought to be uncertain, following news that HRT were having to reduce spending on entertainment shows, due to increased costs for Euro 2016 and the Summer Olympics. Following the success of The Voice winner Nina Kraljic — whose “Lighthouse” took Croatia into the grand final for the first time since 2009 — it’s been speculated that Croatia will again send the winner of The Voice. Series two was won by Ruza Janjis. She impressed the judges with her strong rock sound, blowing the panel away by singing AC/DC’s “You Shook Me All Night Long” at her audition. Naturally enough, she also performed songs by Pink, and gave an emotional rendition of Demi Lovato’s “Skyscraper”. Ruza is a strong and versatile performer who could deliver a show-stopping performance at Eurovision — provided she had the right song. And please — no overgrown kimono this time! The other Balkan nation to have already confirmed is Slovenia, and it’s thought that Albania will confirm their involvement very soon. But there’s currently no word from Bosnia and Herzegovina, FYR Macedonia, Montenegro or Serbia. What do you think? Who should represent Croatia at Eurovision 2017? Share your thoughts below! You don’t deserve my attention. Bye bye. Grow up, you behave like a 5 year old. Also, given that both Greece and Macedonia lie within the land held by the ancient Kingdom of Macedonia, they both have rights to the name. Ain’t nobody being hurt by either one. This is fact. Accept it and move on. Hopefully with all the money they didn’t spend they have a bit more cash to properly promote their act. Nina got royally screwed by her own broadcaster. I’m obviously speaking about ignorant dumbasses like you. Wiwibloggs, no offense, you are a great Eurovision-devoted website but most people who comment here can’t be taken seriously. They are so stupid that they destroy your good reputation. You are a hot mess. Bye bye. First, I’m Albanian-Italian so I know Balkan geography. It may be named Macedonia, but that doesn’t mean”HURR DURR UI GREECSS HEV DA COPIRAIT IU KENT BI NEIMED REPUBLIC OF MAKEDONIJAHH HURR DURR”. Two, you don’t decide for @Polegend Godgarina. If (s)he wants to partecipate, yu can’t say that (s)he can’t. It’s not your decision. Last, only because you’re Greek you think you know all about Greece? How arrogant.. It is so nice to see a record like 50 countries, but I’m afraid that many countries will withdraw. I can’t see Bosnia and Herzegovina or Romania participating, as long as they don’t change the broadcaster, not even their national artist will trust them, when they saw that EBU starts to disqualify in the last moment. The artists will simply not trust the tv station so this is the clue : to see if they change the broadcaster. 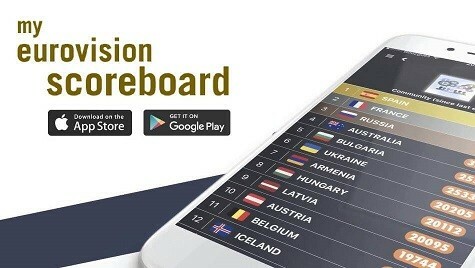 Australia loves Eurovision and the EBU love Australia’s participation fee! Australia is here to stay for a LOOONG time! Eurosong.hr is not a blog. It’s the only reliable Eurovision site in Croatia. Please stop fighting on whether Macedonia is a region or a country. No one cares. One day we won’t have borders at all. Oh, really? So what is this? Next time don’t even try to teach me Greek geography, darling. It’s my country and I know much more about it than you. Why are you even interfering? You are from Italy, it’s none of your business. Thanks Robyn for clearing that up.You are a sweetheart for always responding to our queries. @(J)ESC Fanatic plz. Makedonija is referred by United Nations as FYR Macedonia, so they recognize it a country. It’s not a Greek region. Plus, in USA if I am not wrong there are cities named es.Rome, but nobody says nothing – why say that for a country, wtf. Russia wili not participate in Ukraine, maybe because them not and Belarus, Serbia, Armenia. EBU baby Australa will participate in 2017 and they had strong chance to win next year, thanks to overrated points by juries like in 2016, 2015 escepially in 2016. @ (J)ESC Fanatic – leave the Macedonia insults in 2006 and inside your country’s borders where they belong, thank you. OT: I think in the end Bosnia will be the only Balkan country to withdraw. Yep, that’s the situation. HRT have not yet made a formal announcement. Eurosong.hr has a good quote from a spokesperson, but until HRT actually make a statement themselves, we say “reportedly”. That’s our house style. I never doubted this tbh. And dear @MTD, instead of trying to teach me how to post proper comments, teach yourself instead. I have read some of your comments and they are more pathetic than mine. End of “conversation” with you. I never said it doesn’t exist, sweetie. And yes, I am Greek but I recognize FYROM. I just think their name is wrong, considering Macedonia is a region in Greece and FYROM has nothing to do with it, it is an ex-Yugoslav country. I totally respect the country though and I don’t make any discriminations against them. I loved their song this year and I wanted Kaliopi to qualify, regardless of the country she was representing. I won’t make any further political analysis on the topic. The same goes to @MTD. Peace. @(J)ESC Fanatic please, FYR Macedonia EXIST and is a very beautiful country. (If not considering in these days they are killing a lot of Albanians..don’t know why btw, just heard so) Are you a Greek not recognizing FYR Makedonija? I think we should be represented by Severina(2006; she’s rich and already has experience in making great shows) or Maja Šuput. Jelena Rozga just keeps making songs that sound the same, but I’m not crossing her out completely. Danijela Martinovi? (1998) would absolutely slay if she had someone to write her a proper song. I hope Bosnia will join soon! Romania and Bosnia- Herzegovina will surely withdraw, while Albania and Serbia will confirm participation sooner or later. I’m not sure about Montenegro though! Now I think that Serbia Montenegro Albania and Bulgaria will participate as well, while Bosnia and FYR Macedonia may withdraw as not even Kaliopi can’t send them into the final more 🙁 I really have no idea about Romania and Moldova..
hey Robin…. why do you say reportedly in the description of the article? have hrt not made a public announcement confirming their participation? @(J)ESC Fanatic – your nonsense of a comment is pathetic. The state’s name is “the Former Yugoslav Republic of Macedonia” and it DOES exist, with the name, you like it or not. I thought that we were over that nonsense because everyone got tired of it. Instead, we are now on Ukraine – Russia relations. Blah! Jelena Rozga better represent them. “Udajem se” is one of the best songs released in 2016! To be honest, I didn’t expect this so early. Bosnia and Herzegovina will probably withdraw but I think the rest Balkan nations will stay. FYROM could withdraw as this year marked the fourth time in a row they don’t qualify but they are going to participate, just in order to mention their fake name “Macedonia”. Please let it be true! I want to participate actively and to be able to vote! Oh, I’m sure Albania will participate as well. Ruža is the type of performer who gets last in the semis, so no thanks. I would like to see Croatia win sometime soon, that might take awhile though. Also, I 100% expect Serbia and Montenegro to compete, while it seems Bosnia will withdraw. Macedonia’s competing in JESC this year so I don’t think they’ll withdraw from ESC, but who knows. PS: Wiwibloggs why one my comment(in Albania revealing dates for FiK)is “under moderation”?! It’s going fast with the confirmations right now! I hope there will be more today.